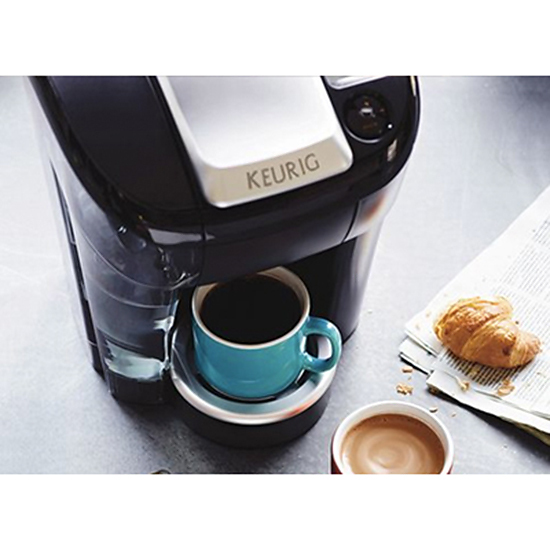 Colombian…French roast…Sumatran…hot chocolate…You’ll run just about anything through your beloved Keurig. But how often do you clean that sucker? Here, the right way to do it, two or three times a year. Step 1: Take apart any removable parts (the reservoir, the K-Cup holder, etc.) and rinse them in soapy water. Step 2: Use an old toothbrush to scrub away any remaining coffee gunk in the holder. Step 3: After putting the machine back together, fill the reservoir halfway with white vinegar and run the machine through two cycles (with no K-Cups in the holder, obviously). Step 4: Fill the reservoir with water and run two more no-coffee cycles--or until the whole thing stops smelling like vinegar. Step 5: Rejoice! Your Keurig is no longer disgusting.